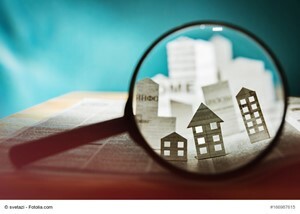 A homebuyer must stay focused throughout the property buying journey. Otherwise, a buyer risks missing out on an opportunity to acquire the right house at the right price. Now, let&apos;s take a look at three tips to help you stay on course during the homebuying journey. Creating a homebuying strategy enables you to outline the steps that you&apos;ll need to take to make your homeownership dream come true. Plus, with a homebuying plan in place, you&apos;ll be better equipped than ever before to streamline your house search. Think about where you want to live and what you want to find in your ideal residence. Then, you can make a checklist of home must-haves and wants. And once you develop this list, you can enter the housing market with a plan in hand. Home financing plays an important role in a buyer&apos;s ability to acquire a residence. If you ignore home financing as you move along the homebuying journey, you may struggle to get the finances you need to purchase your dream house. Oftentimes, it helps to get pre-approved for a mortgage so you won&apos;t have to worry about home financing as you move along the property buying journey. To get pre-approved for a mortgage, you should meet with a variety of banks and credit unions. That way, you can learn about all of your mortgage options and select a mortgage that matches your finances. As you review your mortgage options, don&apos;t hesitate to ask questions. Banks and credit unions employ home financing specialists who can remove the guesswork commonly associated with getting a mortgage. These specialists are happy to respond to your mortgage concerns and questions and ensure that you can make an informed home financing decision. When it comes to staying focused during the homebuying journey, it generally is a good idea to hire a real estate agent. This housing market professional can offer plenty of assistance throughout the property buying journey. And by doing so, a real estate agent will ensure that you can seamlessly navigate the property buying journey and achieve your desired results faster than ever before. A real estate agent understands the challenges that buyers frequently encounter when they pursue houses and can help you plan accordingly. Furthermore, a real estate agent will guide you along each stage of the homebuying journey and do everything possible to help you avoid potential pitfalls. Also, a real estate agent provides comprehensive support as you get ready to finalize a house purchase. He or she will help you get ready for a home inspection, appraisal or closing and ensure that you can purchase your ideal house at a budget-friendly price. Don&apos;t lose focus as you pursue your dream residence. Instead, use the aforementioned tips, and you can stay on course and accomplish your homebuying goals. Christine Rhoades is the Owner and Broker of Ocean Real Estates Incorporated. The company was founded in 1981 and has been serving the needs of buyers and sellers for over three decades.Christine has a Bachelors and Masters degrees from California State University Fullerton. A resident of Laguna Beach since 1972, Christine has been active in many Arts organization in Orange County to include the Segerstrom Center for the Arts, Laguna College of Art and Design, Laguna Dance Festival, Kaufman School of Dance USC, Deans Task Force for the Arts at CSUF. Based on information from California Regional Multiple Listing Service, Inc. as of 04/25/2019 01:53 PM. This information is for your personal, non-commercial use and may not be used for any purpose other than to identify prospective properties you may be interested in purchasing. Display of MLS data is usually deemed reliable but is NOT guaranteed accurate by the MLS. Buyers are responsible for verifying the accuracy of all information and should investigate the data themselves or retain appropriate professionals. Information from sources other than the Listing Agent may have been included in the MLS data. Unless otherwise specified in writing, Ocean Real Estates Inc has not and will not verify any information obtained from other sources. The Broker/Agent providing the information contained herein may or may not have been the Listing and/or Selling Agent.